I agree wholeheartedly, Barack Obama is the most significant person of 2008, and hopefully he will keep up the good work. Barack Obama winning the US elections is a good thing it seems. People need hope in difficult times and Obama provides this. Now all that remains to be seen is how President Obama fulfills the high expectations and whether he is able to motivate and inspire people to make what he talks about a reality. Hopefully Obama’s election has a world-wide impact and it inspires new kind of politics all over the world, including here is Estonia. Heal the world, make it a better place, for you and for me, and the entire human race. 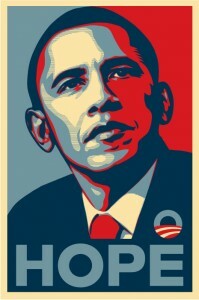 Hopefully Barack Obama will be elected and he will be able to push everyone to make the world a little better place. Barack Obama proves again that nobody can do great speeches like him. Simple, eloquent and persuasive. Rule of law makes a comeback in the US? Accordingly, for purposes of our analysis, we accept the Government’s position that Cuba, and not the United States, retains de jure sovereignty over Guantanamo Bay. As we did in Rasul, however, we take notice of the obvious and uncontested fact that the United States, by virtue of its complete jurisdiction and control over the base, maintains de facto sovereignty over this territory. The Government’s formal sovereignty-based test raises troubling separation-of-powers concerns as well. The political history of Guantanamo illustrates the deficiencies of this approach. /—/ And although it recognized, by entering into the 1903 Lease Agreement, that Cuba retained “ultimate sovereignty” over Guantanamo, the United States continued to maintain the same plenary control it had enjoyed since 1898. Yet the Government’s view is that the Constitution had no effect there, at least as to noncitizens, because the United States disclaimed sovereignty in the formal sense of the term. The necessary implication of the argument is that by surrendering formal sovereignty over any unincorporated territory to a third party, while at the same time entering into a lease that grants total control over the territory back to the United States, it would be possible for the political branches to govern without legal constraint. Our basic charter cannot be contracted away like this. The Constitution grants Congress and the President the power to acquire, dispose of, and govern territory, not the power to decide when and where its terms apply. Even when the United States acts outside its borders, its powers are not “absolute and unlimited” but are subject “to such restrictions as are expressed in the Constitution.” Murphy v. Ramsey, 114 U. S. 15, 44 (1885). Abstaining from questions involving formal sovereignty and territorial governance is one thing. To hold the political branches have the power to switch the Constitution on or off at will is quite another. It was a deeply divided court and I strongly agree with those who dissented. We’ll study this opinion to determine whether or not additional legislation may be appropriate. The Supreme Court decision has stripped Guantanamo of its reason for being: a law-free zone where prisoners can’t challenge their detention. The ruling is not only a landmark victory for justice, it’s a big step toward establishing a smarter, more effective counterterrorism policy. Today’s Supreme Court decision ensures that we can protect our nation and bring terrorists to justice, while also protecting our core values. The Court’s decision is a rejection of the Bush Administration’s attempt to create a legal black hole at Guantanamo – yet another failed policy supported by John McCain. This is an important step toward reestablishing our credibility as a nation committed to the rule of law, and rejecting a false choice between fighting terrorism and respecting habeas corpus. So in 2008, the age of Googling, social networking and the emergence of more Web based services, the Republican party has nominated as its candidate for the President of the United States of America a person who does not know how to use a computer. He could not get hired in any other high-profile job without computer skills (except politics), but he will be able to run for president. And the majority of the Republican party think this is a good idea? 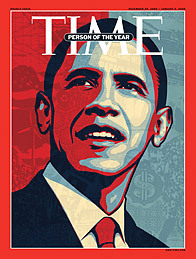 Compare this with Barack Obama, who not only knows how to use computers, but who’s campaign was built and sustained largely thanks to the volunteer support and donations, which were coordinated effectively using internet-based social networking tools. Obama early on embraced Silicon Valley. His proposals are good as well: he wants to protect the open nature of the internet, provide more access to government online and help the US to bring about technological achievements that are much more common in Europe (3G+ mobile, true Broadband, etc). P.S. As an Estonian I found funny that last Colbert Report made fun of Estonia as a technologically backward place, whereas I am enjoying 10M internet connection + Digital Television for 20 euros / 30 dollars per month. It is more and more likely that we will see president Obama inaugurated next January. He is cool, wise, charismatic and optimistic. People like Obama are much needed in politics, people who can inspire and motivate others. The democratic primaries are still not over, the next one to vote is the semiautonomous US territory Puerto Rico. Hillary Clinton is excpeted to win due to being NY senator, she also received an endorsement from one of the most famous puertoricans, Ricky Martin. The Clintons have visited the island several times as a big win there does not do much for her chances delegate-wise, but she might be able to claim a popular vote victory of the primary (which does not matter much). I like that in US universities there are these commencement addresses, where notable people talk to students. Each of you will have the chance to make your own discovery in the years to come. And I say “chance” because you won’t have to take it. There’s no community service requirement in the real world; no one forcing you to care. You can take your diploma, walk off this stage, and chase only after the big house and the nice suits and all the other things that our money culture says you should by. You can choose to narrow your concerns and live your life in a way that tries to keep your story separate from America’s. Now, he may have been right about the TV thing, but he was wrong about everything else. For that old man has not seen what I have seen. He has not seen the faces of ordinary people the first time they clear a vacant lot or build a new playground or force an unresponsive leader to provide services to their community. He has not seen the face of a child brighten because of an inspiring teacher or mentor. He has not seen scores of young people educate their parents on issues like Darfur, or mobilize the conscience of a nation around the challenge of climate change. He has not seen lines of men and women that wrap around schools and churches, that stretch block after block just so they could make their voices heard, many for the very first time.